Instead, Elite will be a free service that will include all of what it was (minus the downloadable in game content) with additional support and features. Stats, kill by kill match information and exclusive Elite webshows will return. In addition, they are adding the Pick 10 system. Instead of players just customizing their own multiplayer load outs, players will now have the ability to mirror the load outs of other players online and transfer them into their own game. There will also be improved Clan support, allowing players to continue playing with their Call of Duty: Modern Warfare 3 clans. There will also be a suggested clans feature which will recommend clans to players both from clans their friends are playing and community clans. Not surprisingly, Treyarch will be giving Elite support to Zombie mode. 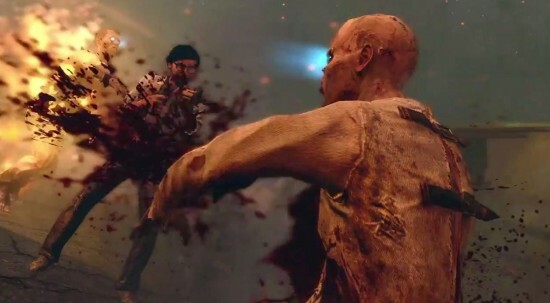 Zombies may easily be the most popular feature Treyarch has introduced to Call of Duty since Call of Duty: World at War and now giving players the ability to stat track in it gives the mode even further appeal. Check out the full trailer for Call of Duty Elite’s new features for Call of Duty: Black Ops II. Call of Duty: Black Ops II is heading to XBox 360, PlayStation 3 and PC on November 13th and for the Wii U on November 18th. Stay tuned to the Flickcast for more news on the game as well as an upcoming review. My sister recommended I’ll like that web page. Your dog once were completely right. This particular article definitely made our day. You can’t think about just how a good deal time I needed used for this information! Thank you!